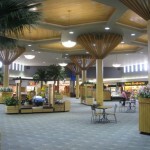 Bismarck is a city of 55,000 people and also the state capital of North Dakota. 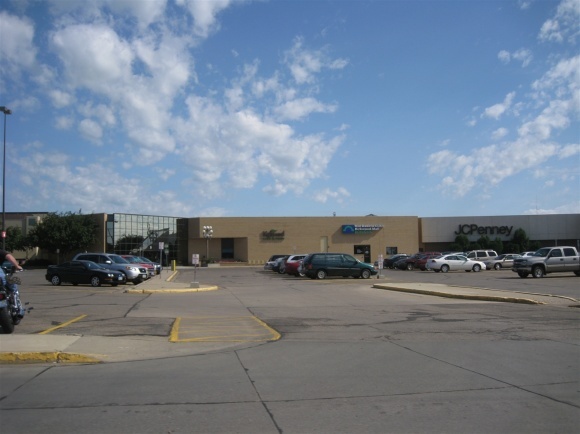 Located almost 200 miles from the state’s largest city, Fargo, and over 400 miles from the Twin Cities of Minneapolis and St. Paul, Bismarck is rather isolated from other cities and is therefore an important regional hub for commerce. 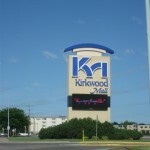 As such, a plethora of retail options exist in the city, including two enclosed malls, Kirkwood Mall and Gateway Mall. 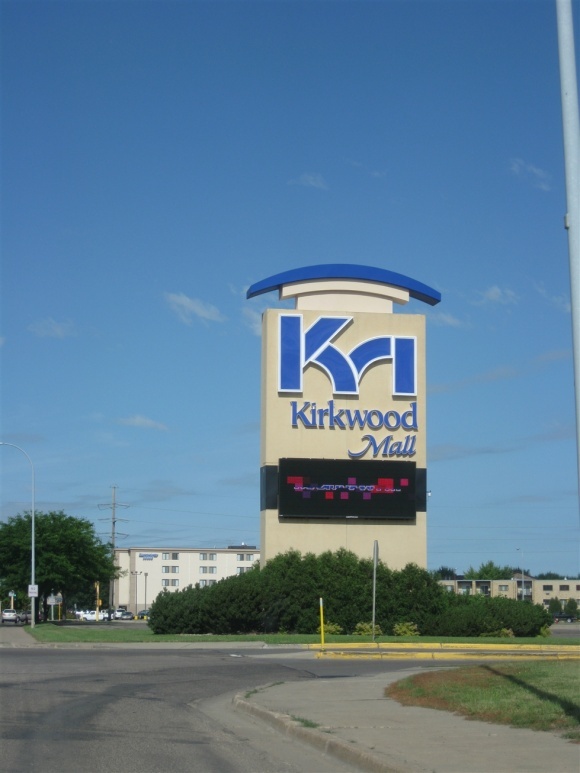 The largest mall in Bismarck, Kirkwood Mall, opened in 1971. 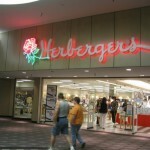 Original anchors were Montgomery Ward, Minnesota-based Herberger’s, and a massive 130,000 square-foot Woolworth’s. 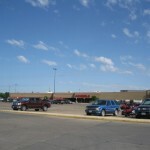 Some have stated this location was Woolco, but a photo provided by the blog Mall Hall of Fame, from the State Historical Society of North Dakota Archives, illustrates that it was Woolworth. 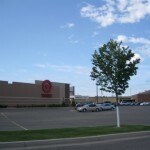 Did it become Woolco at some point before the Woolco chain died? 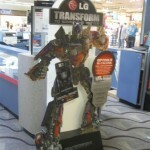 What is the source of the confusion? 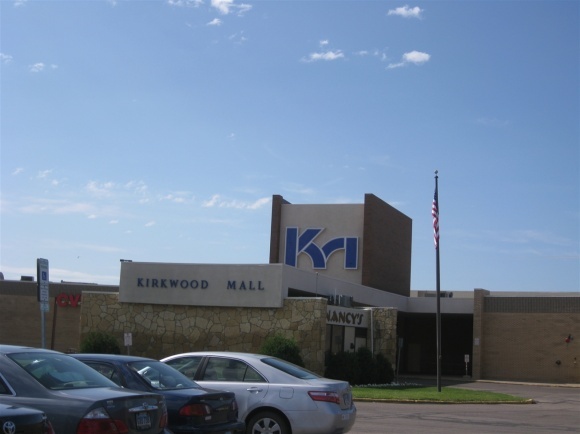 In 1980, Kirkwood Mall expanded, adding a large section south of the original mall and removing a section of Arbor Avenue in the process. 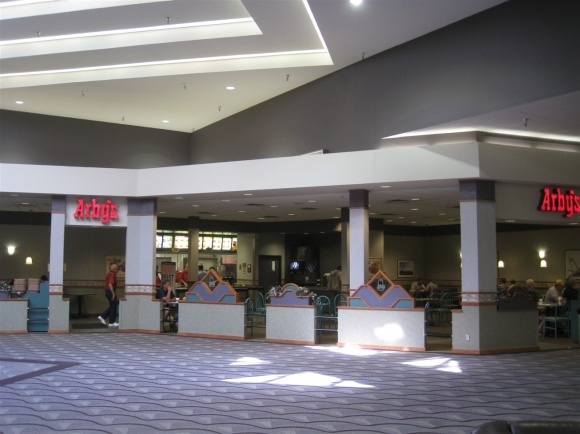 Herberger’s expanded their store for the second time, and a three screen cinema was added. 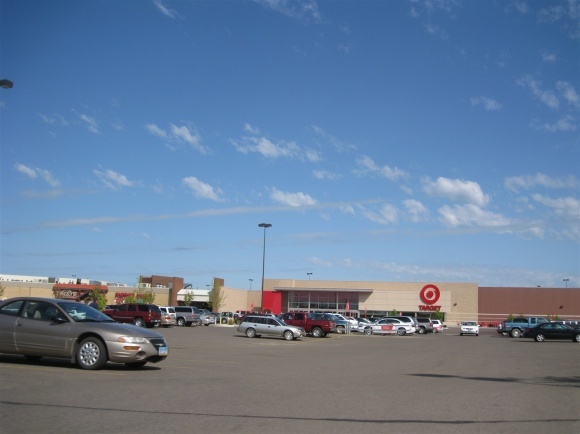 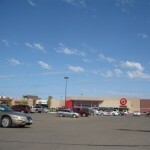 In addition, JCPenney and Target stores were added as anchors to the new expansion, along with several new stores of in-line space. 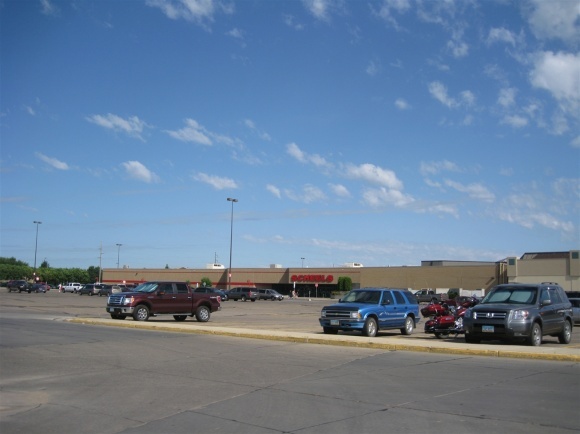 The new addition gave the mall over 800,000 square feet of retail space, making it the second largest mall in the state after Fargo’s West Acres. 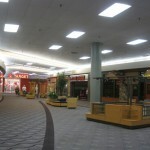 In 1983, Woolworth closed, and sat vacant for two years before Minneapolis-based Dayton’s took over the space in 1985. 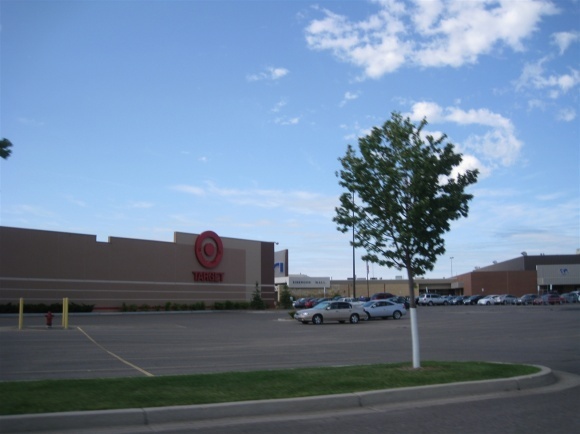 Perhaps this is the source of the Woolco v. Woolworth confusion, because Woolworth died about the same time Woolco disbanded. 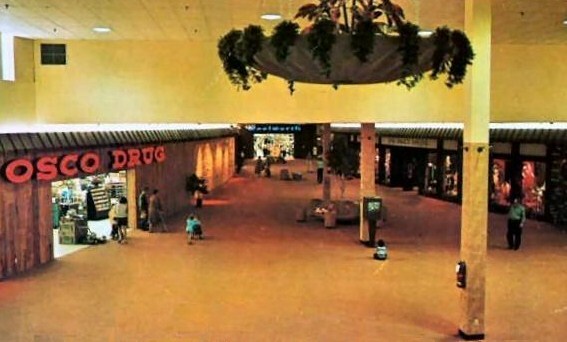 Was this a coincidence and the store was actually Woolworth, or was it really a Woolco by this point? 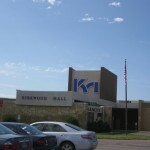 Someone has to know for sure. 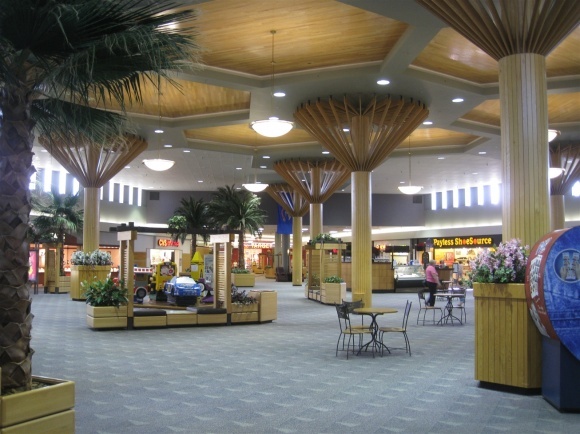 I was a zygote in Wisconsin at this point, so I sure as heck don’t know. 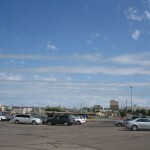 Numerous other anchor changes and swaps took place after this. 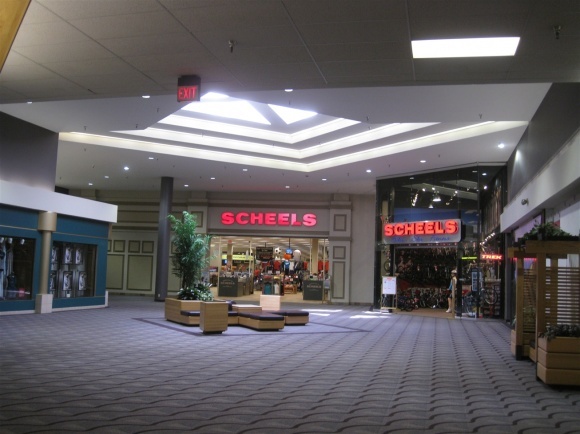 In 1984, Scheels All Sports opened a 29,000 square-foot store at Kirkwood Mall, in between Target and JCPenney in the newer wing of the mall. 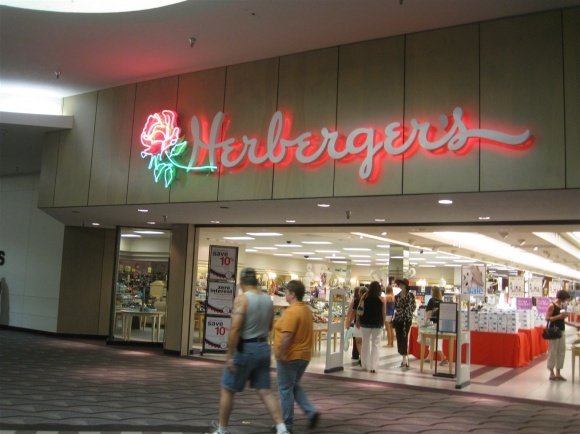 Herberger’s then expanded their store a third time in 1994, which brought them to 92,000 square-feet. 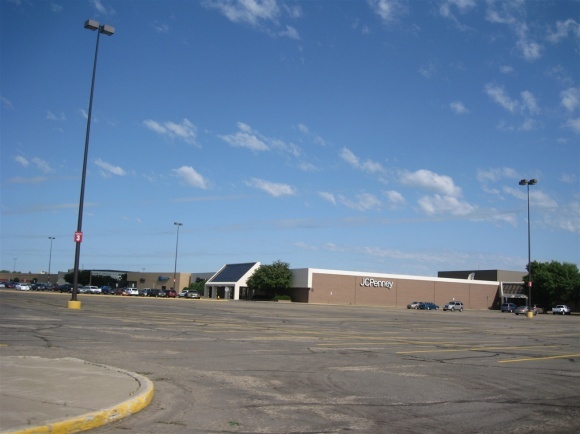 In 2001, Montgomery Ward went broke and closed all their stores, and their location at Kirkwood Mall sat vacant for about 2 years before becoming Minot-based I. Keating Furniture World. 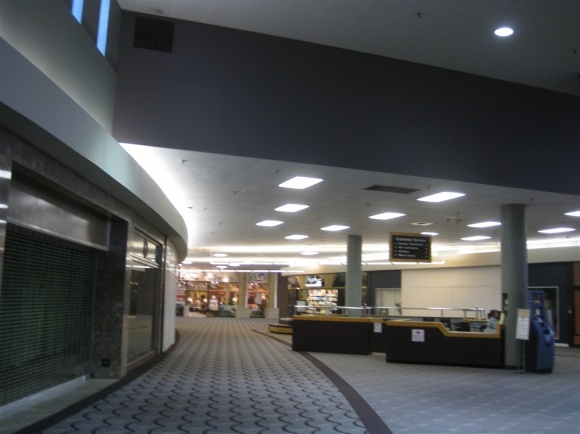 That same year, Dayton’s was rebranded as Chicago-based Marshall Fields in a marketing decision by their owner, Target Corporation, in order to unify their department store brands under one banner. 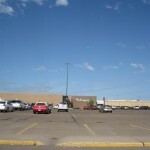 Marshall Field’s lasted about four years in Bismarck, before closing in 2005 due to the sale of Marshall Field’s by Target to May Company, and ultimately to Federated/Macy’s in 2005. 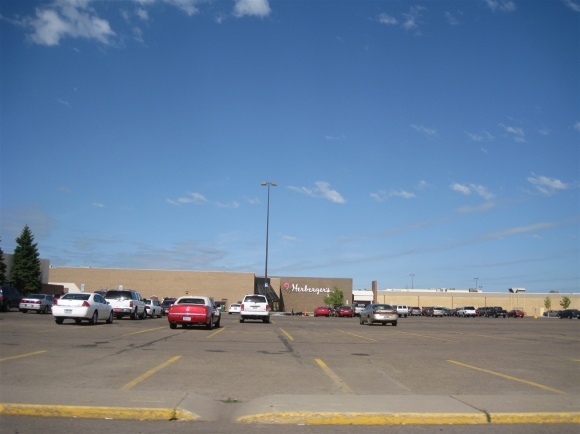 Federated converted most of the Field’s locations to Macy’s the next year, but apparently didn’t want a presence in Bismarck and shuttered the store here in 2005. 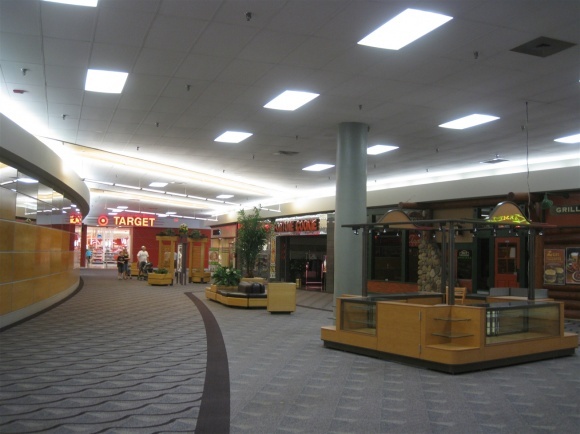 Ironically, Target, who owned Marshall Field’s until 2004, saw the closure as an opportunity to replace its 26-year-old location at Kirkwood Mall, so they moved into the former Field’s store and opened in Fall 2006. 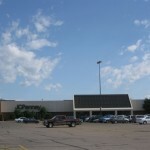 The older Target at the other end of the mall was taken by Scheel’s for a larger location of their store in 2007, and the older Scheel’s is currently vacant as of mid-2010. 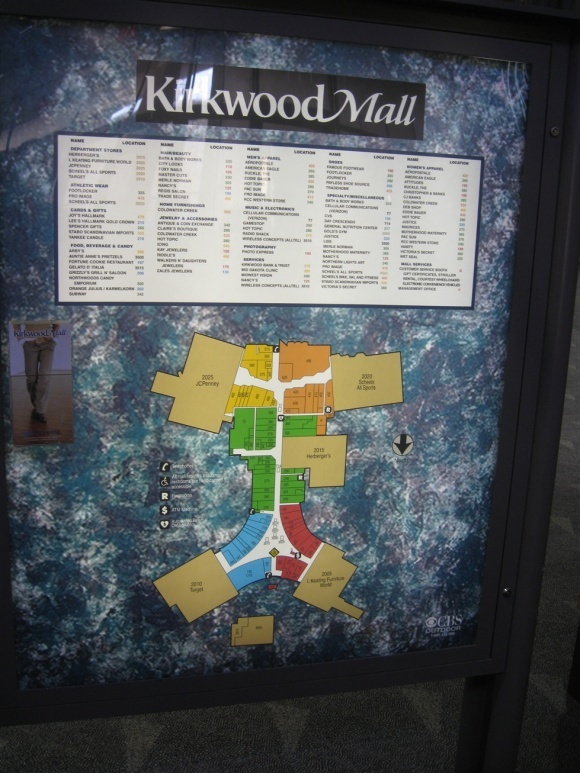 The decor of Kirkwood Mall is mostly seamless between the two sections of the mall. 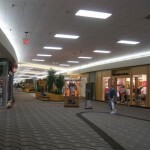 However, the decor is also appreciably unique, as the main mall corridor has a unique shape at the northern end. 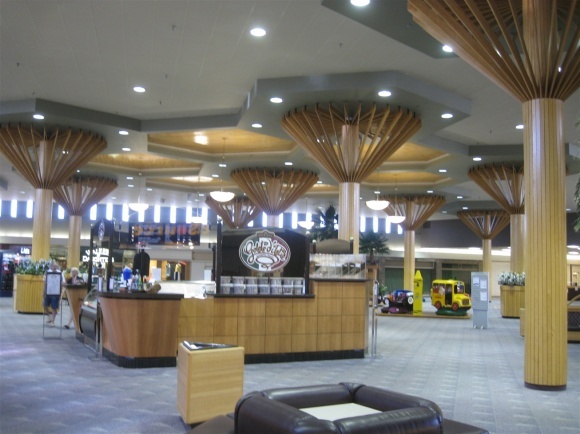 It curves to create a triangular-shaped court of open space with high ceilings, flanked by wooden-facaded support beams that erupt into a honeycomb pattern on the ceiling. 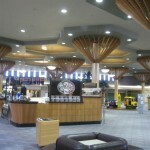 Natural light comes into the side of this huge court through slotted windows. 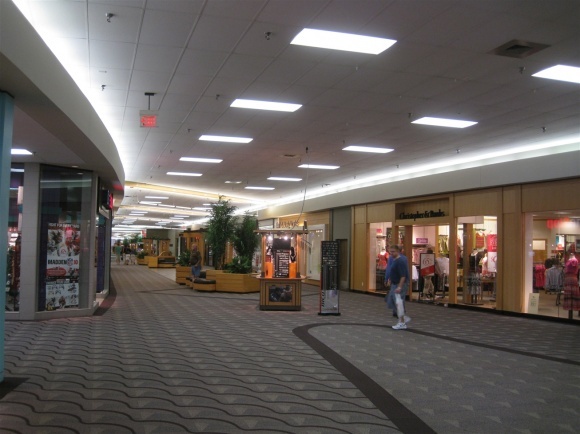 In addition, the entire mall is also carpeted with an extremely ugly dark blue color and pattern, which I think is a horrible mistake, making the mall appear smaller than it is. 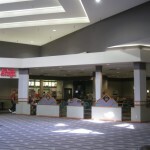 There’s also no food court at Kirkwood Mall, which is unique for a mall of its size and dominance, though several fast food restaurants exist, like Arby’s and Auntie Anne’s, and sit down restaurant Grizzly’s Grill ‘n Saloon. 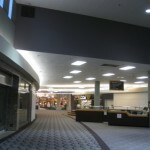 Elsewhere on the net: Check out Mall-Hall-of-Fame’s write-up of the mall, and a Flickr set by a local Bismarck resident. 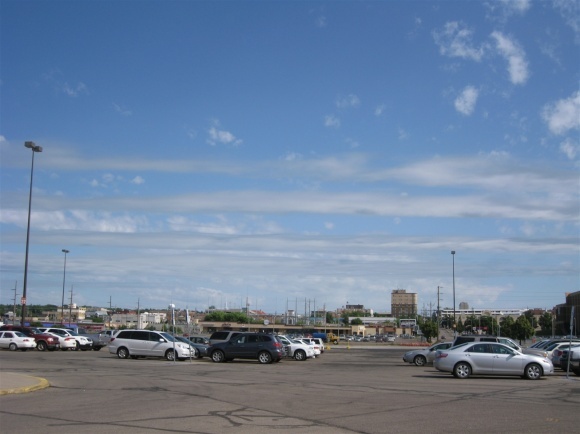 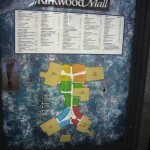 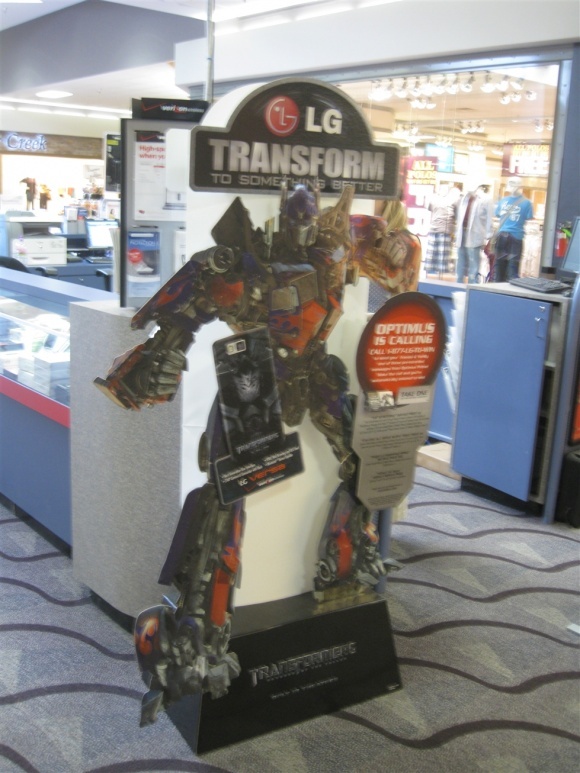 We visited Kirkwood Mall in July 2009 and took the following pictures. 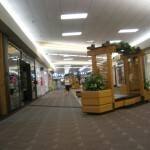 Familiar with Kirkwood Mall or the retail scene in North Dakota? 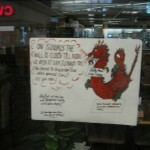 Feel free to leave some comments. 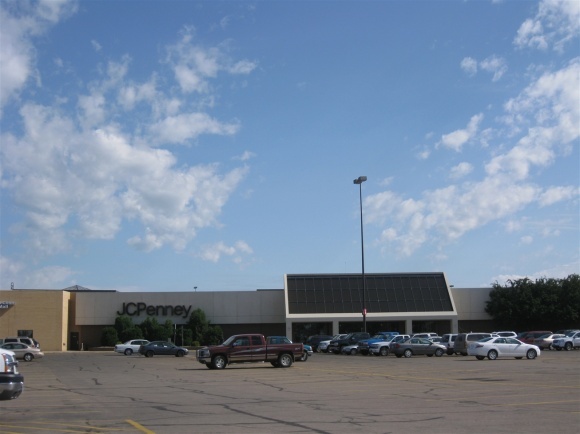 I work at the Herberger’s here and used to work at Marshall Field’s (worked the store liquidation sale, hell on earth if you were wondering) The Woolworth’s/Dayton’s/Field’s was actually only 80K sq ft, the target that was built to replace it is 130K. 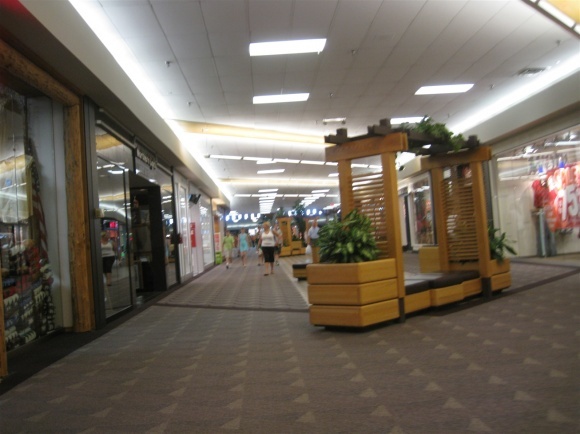 As an employee of the mall it is very annoying not having a food court because the options are very limit…subway gets old very fast! 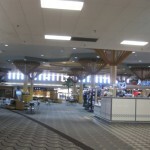 Ugh, that carpeting and odd (but awesome triangle court makes it look like an airport terminal. 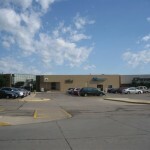 @Prange Way, KOP has a full service Rite Aid in the plazas lower level. 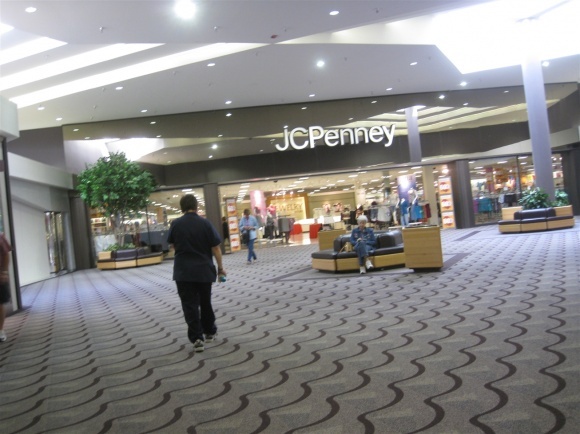 I’m reminded of that part of Fargo Rock City by Chuck Klosterman where he talks about buying a Lita Ford cassette at this mall. 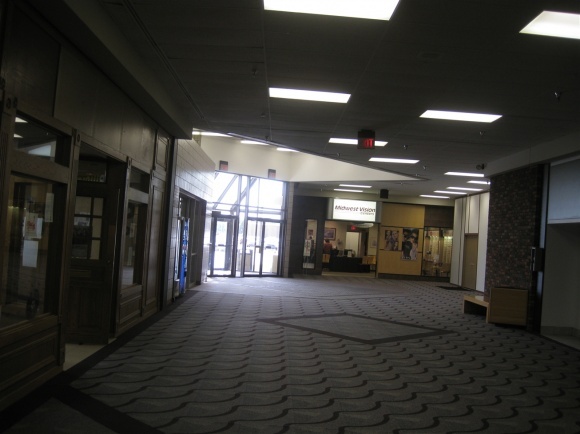 He mentions that the carpeting, and the fact it was carpeted, was strange. 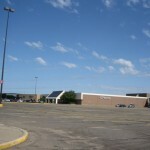 To answer your question it opened as Woolworth and sometime in 1981 or 1982 it was changed to Woolco and then it closed. 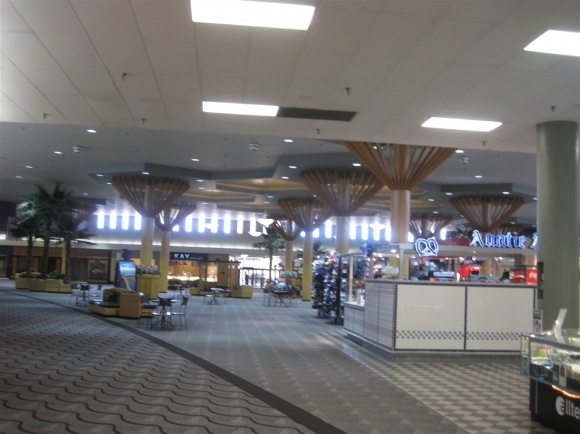 I worked at the Woolworth there from 1976 to 1978. 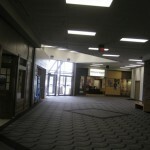 If you look at the directory on the top set of the photos the shape of the hallway looks sort of like a zipper. 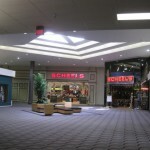 Does/are any of the anchors two levels? 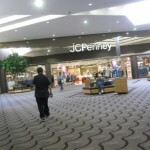 Worked for a company out of Boston that liquidated Jewelery stores. 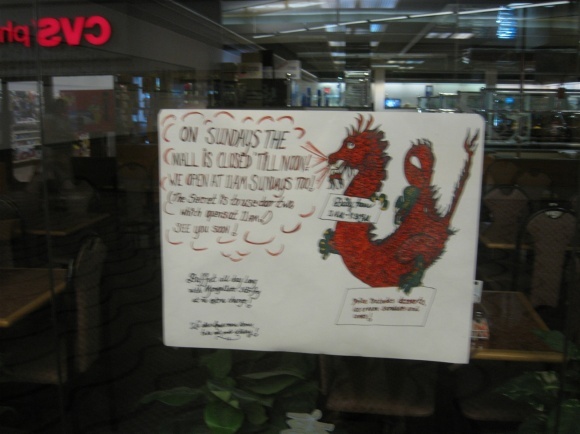 Closed I think the name was Southerland Jewelers in late 85 or early 86.